Home Unlabelled Leaked Video: The Horrible Things Being Done in The Meat Industry! 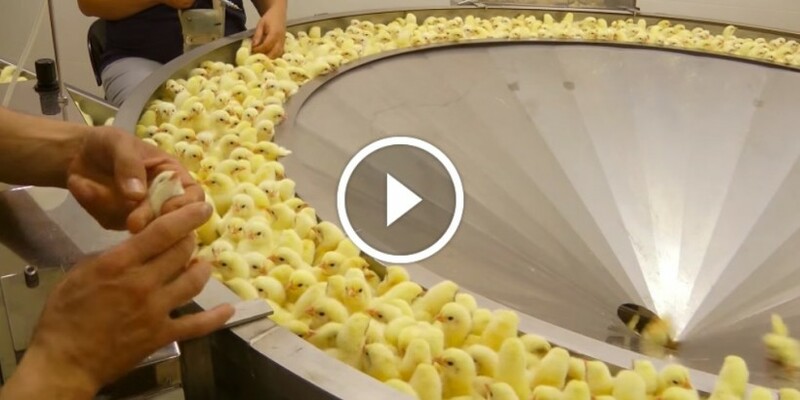 Animal Equality secretly filmed hatcheries in order to show to the public what really goes on in the chicken industry. The video has more than 30 million views. This is an American factory, although there are similar practices in the UK as well. Hatcheries are places where chickens are born. Moreover, these animals are trapped in the net of the cruel meat industry. These small creatures spend their first day of life in industrial incubators and are treated as mere machines. Unfortunately, they are separated from their mothers, which is against every aspect of nature’s course, as chicks should spend their first days of life protected under their mothers’ wings.